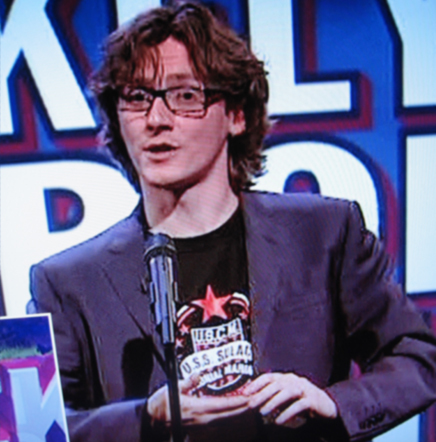 Ed Byrne on BBC2 wearing our United States Colonial Marines T-shirt. The Irish comedian Ed Byrne was on the BBC‘s ‘Mock The Week’ last night sporting a rather nifty Last Exit to Nowhere T-shirt. As well as being a top comedian, he’s also got great dress sense. Click on the picture to visit his website.